Ranked 7-9 on the starting list (with Armenia and England), the french team ended up 9th, but not without having played for the top places until the very end. 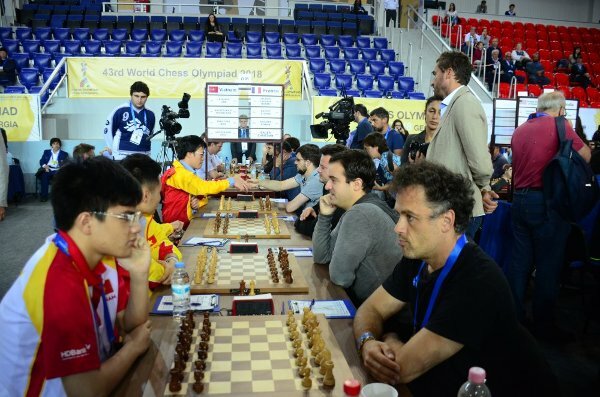 A thriller and improbable tiebreak rules, these are for sure the Chess Olympiads! I landed in Batumi (Georgia) three days before the start of these real Nations World Championships, together with Etienne (Bacrot), and also Romain (Edouard), who met up with us in Istanbul. 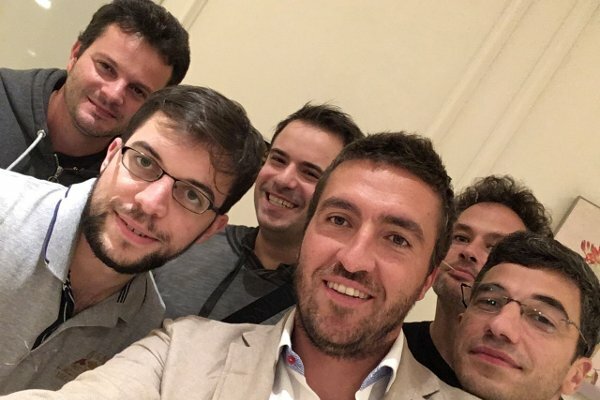 The remainder of the team arrived on Saturday 22, after a long travel as well. So we had enough time to acclimatize, take advantage of our nice hotel, rest and prepare. The tournament itself was nicely organized, even if the playing hall was a bit too small, but I perfectly understand the difficulty of having to place more than 660 boards in a comfortable environment! One of the novelties in these Olympiads was the anti-cheating disposal, supposed to find out people wearing electronic devices. As I myself was tested after my round 3 game against Bilel Bellahcene, I must confess that I was not convinced by this detector looking behind my ears. Had I hidden a device on me, I would have had enough time to get rid of it before to reach the examination room. Should be improved! The atmosphere inside the team was very good, and that was also the case with the girls. Most of the time, we would all gather after dinner. We had brought a lot of board games, and they allowed us to fill up evening hours in a pleasant way! I began the tournament on the bench, as is usual within the strongest teams, who choose to take it easy with their first board, when the pairing is normally an easy one. We controlled the first three rounds, throwing only a draw of twelve games (4-0 against Yemen and Uruguay, 3.5-0.5 against Algeria). Thus we took an early lead in the tournament. On the dark side, Romain fell ill just before round 2, and he seldom played till the end. Rodriguez Vila-Mvl, Round 2; the black win still requires accuracy. 34…Nxc1 35.Rd5+ (35.Rxb2 Qxb2 36.Qxc1 Bb3+ 37.Nc2 and after all pieces are traded on c2, the h pawn decides) 35…Kc6! (but not 35…Bxd5? 36.Qxd5+ Kc7 37.Qc5+ Kb8 38.Qe5+! 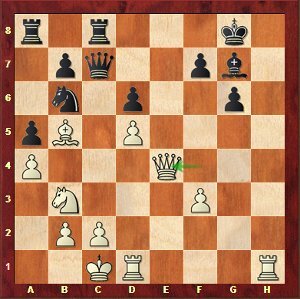 and black’s King doesn’t escape perpetual) 36.Rc5+ (36.Qxc1 Bxd5) 36…Kb6 37.Qd8+ Kxc5 and the lone white’s Queen can’t give perpetual). The Uruguyan GM resigned after 38.Qc7+ Kb5 39.c4+ Ka6. 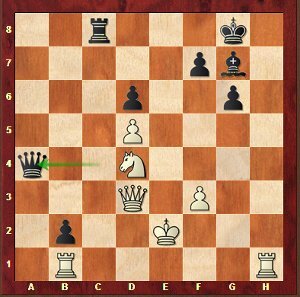 The fact is that I had a very difficult game the next day against Bilel Bellahcene, who bullied me from the beginning, before to completely crumble in a totally drawn Rook endgame. The beginning of Round 4 match Vietnam-France (photo Chessbase). Things got really serious with round 4 pairing against Vietnam. Fortunately, Christian (Bauer) did the job on board 4, allowing us to claim the match after a peaceful end on the three other boards (Vietnam-France 1.5-2.5). Round 5 clash against Poland went wrong, and I must confess that I quickly became worried when I saw the positions on all boards. I was not that much concerned for Laurent (Fressinet), but maybe I should have been! I was more worried for Etienne and not so certain about Christian’s position. In all cases, it was clear for me that I would have to win, especially with the position I had. By the way, my game developed well in this respect. Mvl-Duda, Round 5; white’s position is easier to play. 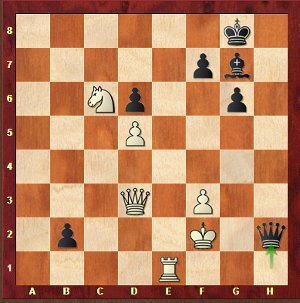 Here, I was expecting the critical 22…Nc4, and I wanted to answer 23.Qe2 Nxb2 24.Rd8!? f6 25.Nh4, forgetting 25…Qe5!, which seems to equalize. A few moves ahead, the position became unclear, though probably more difficult to play for black, who had to face a nasty initiative for the pawn. And the fact is that Duda’s position quickly went downhill, and I was even surprised by the number of wins I had at my disposal! Maybe I didn’t choose the most precise one, but I think I took the best practical decisions, leaving no chance at all to black. Despite my win, the match itself went awry, as we lost the other three games. Nothing fell into place for Laurent and Etienne, so Christian had to force events and also lost! (France-Pologne 1-3). This was a first blow, against a Polish team we have to congratulate for a really thrilling overall performance in the tournament. So the rest day was welcome to recover from the defeat, as well as from The Bermuda Party! 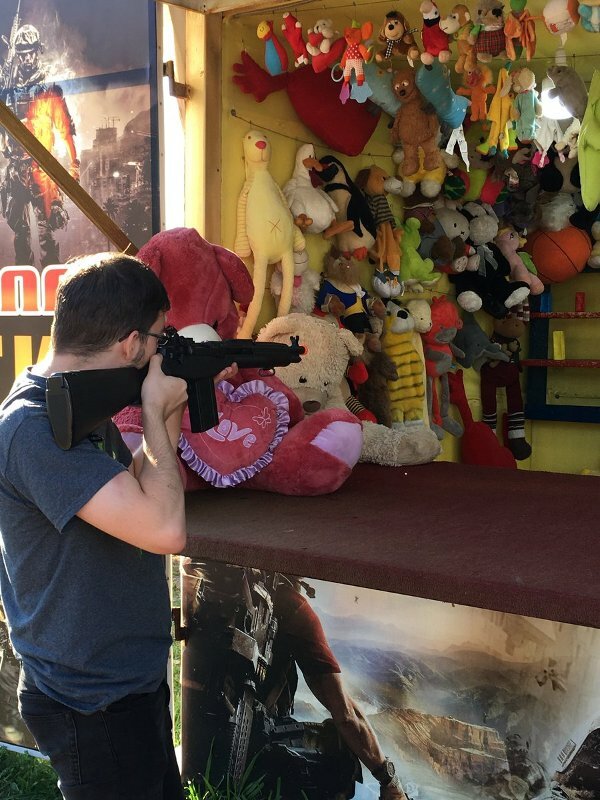 Mvl is a shooter, even during the rest day! (Photo Laurent Fressinet). We resumed hostilities against England, and I have to admit I played a tame game against Adams. Adams-Mvl, Round 6; 13…Nxd5? !, not the best decision. Here, after the normal 13…f5, I had an easy game. But I got attracted by the win of a pawn which follows 13…Nxd5 14.cxd5 (14.Nxd5?! Ne7! is maybe already slightly better for black) 14…cxb4 15.axb4 (15.dxc6? Qxc6+) 15…Nxb4, without assessing that after 16.Qa4! Qxa4 17.Nxa4, white got adequate compensation, with no winning prospects at all for me. Then we won an important match against Hungary, though not without adventures! 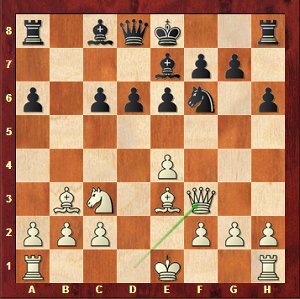 In the beginning, we had rather pleasant positions on all boards, except mine as I messed up my opening against Leko. 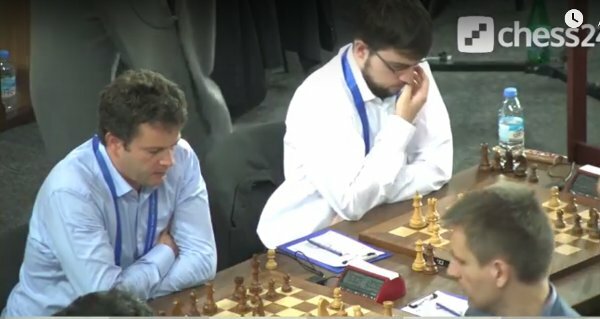 Leko-Mvl, Round 7; a shaky opening for black. In this position obviously arising from a Najdorf, I didn’t dare to be slightly worse after 17…Qc7 18.Qc3!, and I opted for 17…Nf6, but when 18.h4! came on the board, I understood that my planned move 18…Nbxd5? was not possible because of 19.Bg5 Nf4 20.h5! N4xh5 21.Rxh5 gxh5 22.Bh6 and white’s attack is too strong. 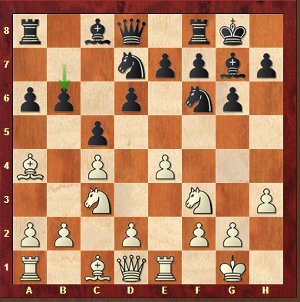 Leko was beginning to spend an awful lot of time on his moves, in particular 48 minutes to answer 18.h4 to 17…Nf6 in the diagrammed position, which is completely baffling to me! Then, after 18…Qc7, a further 18 minutes for 19.h5; unbelievable! Thus, he certainly lacked time to find the win that I also failed to spot, as it is all but trivial! After 19…Nxh5, instead of 20.Bh6, he had 20.Rxh5! gxh5 21.Bh6 f5 22.Bxg7 Qxg7 23.Qe3! 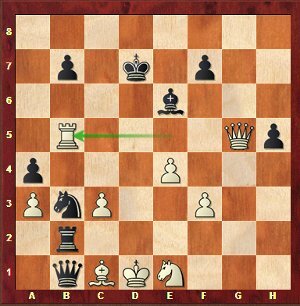 (the key move) 23…Qc7 24.Rg1+ Kh7 25.Rg5! (second key move!) 25…Rf7 (25…Rf6 26.Rxh5+ Kg8 27.Qg1+ or 26…Kg7 27.Qg1+ Rg6 28.Qh2) 26.Rxh5+ Kg8 27.Qg1+! (27.Qg5+? Rg7 28.Qh4 Rg1+!) 27…Rg7 28.Qh2 with a decisive attack. Fortunately, this difficult variation went unnoticed, and the game continued 20.Bh6 Nf4 21.Bxf4 exf4 22.Qxf4 Rfc8 23.Qe4, and whew, the storm is gone! Leko-Mvl, 23…Nxa4 or no 23…Nxa4? Meanwhile, despite the complexity of the game, I had faith in Christian’s position. 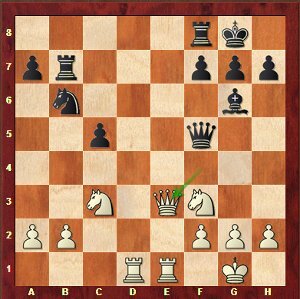 From my board at any rate, his piece sacrifice on h6 looked very interesting. 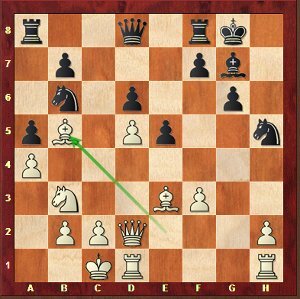 It is also at this moment that I saw Laurent hit by a Knight sacrifice on e5 against Almasi. A sacrifice that proved inaccurate afterwards, but looked pretty scary live! So I decided to await events, as I already had the idea to sac on a4, but I was not quite sure of myself! However, a couple of moves later, I felt Laurent’s position was getting scarier, and I decided to give the sac a go! Leko-Mvl, a position as complex as can be! If, instead of 35.Nc6? Re8+ 36.Kf2 Qf4!, allowing me to switch to the Kingside and to be back on track, Peter had found the counter-intuitive, but very strong 35.Rh4!, it’s not clear if the only move 35…f5 would have crossed my mind. Indeed, the try to take advantage of white’s auto-pin by 35…Rc4? was refuted by the pretty 36.Rxb2 Bxd4 (36…Rxd4 37.Rb8+) 37.Rd2! and it’s a case of the biter bit, as black is indeed losing its pinned Bd4! Leko-Mvl, is it an immediate draw ? After the time control, I thought I would give perpetual by 41.Kf1 Qh1+ 42.Kf2 Qh2+ etc…, all the more as the match situation had clearly improved, with Laurent drawing, Etienne unable to lose, and Christian already winning. But instead of repeating immediately by 41.Kf1, in which case I could as well have taken the draw right away, Peter commited the huge mistake of standing up to head for the toilets. All in all, he took fifteen minutes to play this forced move. A very bad practical decision, which made me understand thad he had seen a problem somewhere! Thus, I had time to calmly assess the position and to realize how strong it would be to play 41…Bf6! instead of taking the draw! And in the course of my calculations, I realized that the move was indeed winning, notably in the main variation of the game, 42.Rd1 Bh4 43.Qd4 Bg3!. 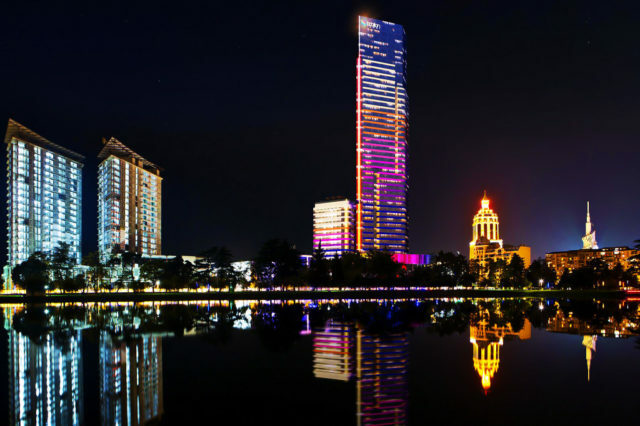 Batumi by night (photo mardihouse.ge). A win (Hungary-France 1-3) that was just what we needed, but as for myself, I had caught a cold that day. Therefore, I lacked energy for the remaining rounds, and it could already be seen in my next game against Eljanov (France-Ukraine 2.5-1.5). He gave me a pawn in the opening, and I thought it would turn out to be good for me, but he had more counterplay than I expected. But the way things were going elsewhere, led me to offer a draw as soon as I could (in Batumi Olympiads, draws by mutual agreement were forbidden before move 30 – Ed.). We played our worse chess in round 9 (Germany-France 2-2). For my part, I got burned in the opening, because of the doubtful decisions I took. Facing a new idea, 12.Nxc6 bxc6 13.Qf3 leading to the diagrammed position, I was really reluctant to castle Kingside. I was afraid of 13…0-0 14.0-0-0 followed by 15.g4. But I should probably have gone for it anyway, as my position became inferior right away after 13…Qc7?! 14.Qg3 Bb7 15.0-0-0. Obviously, I could have avoided the real highlight 15…g5?, way too risky, after which, even if he was not going to be perfect in the process of converting, I never had my chance anymore. At some stage in this match against Germany, it didn’t look so weird to me that we might lose 0-4! Luckily, Etienne held the draw a pawn down, and Laurent navigated at best in a very nasty position arising from a nice central break, on which I wouldn’t have bet a lot! As for Christian, he happened to be our savior, even though it hadn’t much to do with his white opening! The draw 2-2 was a real relief given the course of the games. Thus we were rewarded with a clement pairing for round 10, Croatia. Mvl-Saric, Round 10; the punishment doesn’t work. Against Saric, I wanted to punish his 9…b6, weakening c6, by playing 10.d4, while I would have played 10.d3 against any other move. Not a very wise decision, although it could maybe have been justified had I played, after 10…cxd4 11.Nxd4 Bb7, 12.Bc6 instead of 12.Nc6: it shouldn’t have given much either, though. In the game, after 12.Nc6 Bxc6 13.Bxc6 Rb8, if I play 14.Ba4, then 14…Nc5 15.Bc2 b5, and I’m probably already a bit worse. 14.Bxd7 Nxd7 followed by 15…b5 didn’t give anything either, so I opted for 14.Qe2, after which black equalized comfortably by the sequence 14…Ne5 15.Ba4 Nxc4 16.Qxc4 b5, although it was not even the only way to proceed for him. Thankfully, the match was rather well controlled on the other boards (France-Croatia 2.5-1.5). Romain made a last appearance and held the draw without much trouble, the same for Etienne, while Laurent wrapped up a convincing and decisive win. 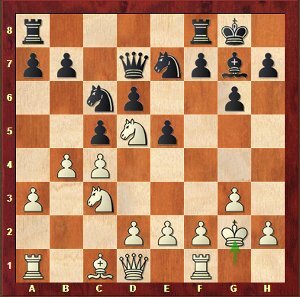 Boards 1 & 2 during the decisive match against Russia (image Chess24). 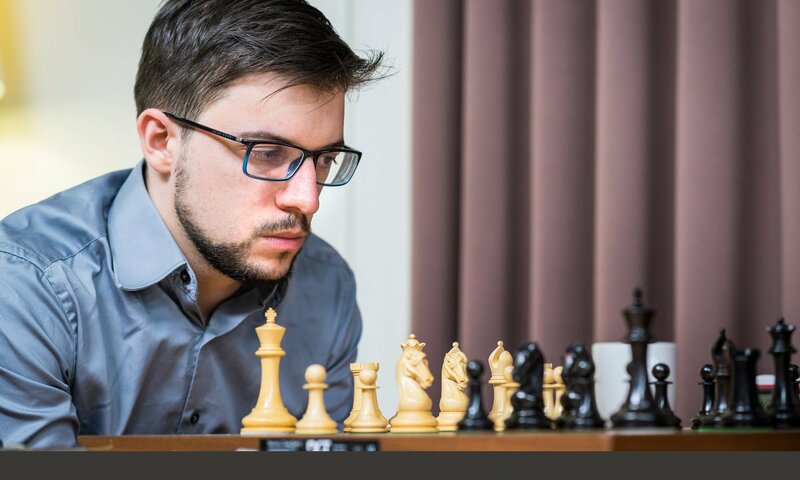 Unfortunately, Etienne’s game against Nepo went awry from the opening, as he faced a very strong new idea in the English, against which it was terribly difficult to react. My game wasn’t smooth either. I had a novelty against Karjakin’s Berlin Wall (13.Ne2), but he reacted perfectly, and annhilated all my tries; he even sacrificed a pawn to get lots of counterplay, leading me to force the draw. Laurent had succeeded in getting a nice middlegame position against Kramnik, but the Russian equalized anyway, just to take insane risks, as he very regularly does those days! Draw anyway after the time control, which made our defeat official as Christian, with black against Vitiugov, had previously shared the point, in a position I felt was preferable for him. (France-Russia 1.5-2.5). Our overall result is rather positive as, despite the final deceptive loss, we always played for something. As a proof, had Nepo blundered against Etienne, we would have beaten Russia and won the Olympiads! On a personal note, I’m a bit disapointed I was not at 100% of my strenght in the last rounds, but I’m pretty sure we will have other shots in the future. Just a word about Women’s France team, whose tournament debut was a bit complicated. But the girls got back on track and showed solidarity, thanks to the excellent atmosphere among them. And at the end, China wins! (photo Chessbase). 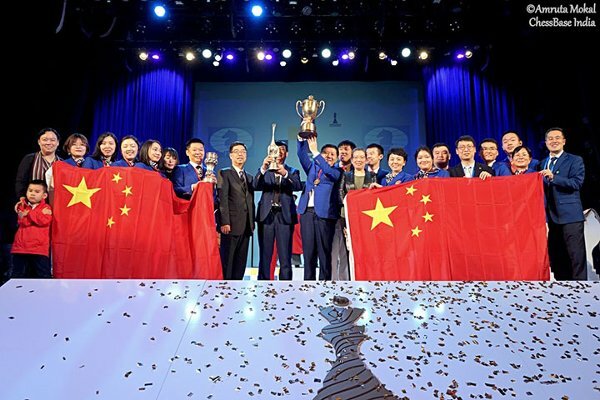 And to conclude, congratulations to the Chinese for their double gold, the more so as they also grabbed both individual gold medals on the top board ! Oh ! Capablanca The Olympiads are obviously the greatest chess meeting in the world, with almost all countries on the spot. It is a titanic organization, with its staple moments. First, the Opening ceremony, astonishing by all accounts. Then the traditional Bermuda Party, before the rest day, scheduled this year in a seaside nightclub; but hush! what happens in Bermuda… remains in Bermuda! To close the Olympiads, the Chilean singer and chess lover Juga di Prima came to Batumi, and sang on the stage her « Oh! Capablanca », which was successful in the previous months.